Teach students about colors and the 5 senses using this color poem template (fill in the blanks)! Template for writing color poems. Template has students thinking about the five senses, using colors! Product also includes a completed example! Template to help students construct a color poem. Great for many different ages! Mother's Day Writing Easy Poem Template! "I Am Poem" template used for upper elementary and beyond! Students can do rough draft on black and white copy and then choose a colored copy for the final. Enjoy Comes in: purple, seafoam, pink, dark blue, sky blue, lime green & orange, red and brown. Spring is Here! 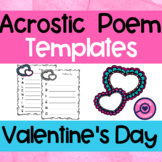 Brighten up your bulletin board with this acrostic template. 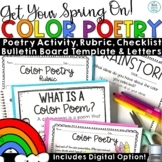 Students will be able to use their favorite colors to decorate their poem. 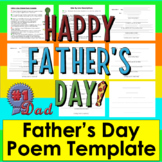 Create mothers day acrostic poems and flowers with this colorful template. After creating poem, students create flowers with colorful petals and a picture of mom. Mothers Day Acrostic Poem Template by Linda Parker is licensed under a Creative Commons Attribution-ShareAlike 3.0 Unported License. Color Poem mini-packet. 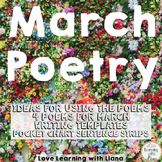 Includes: - Color Poem information sheet with examples and space for practice - 3 Templates for final copy. Organized and visually appealing! Enjoy! 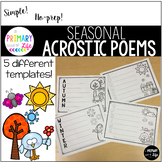 This a template for an Easter Theme Acrostic Poem. The students have the opportunity to color the individual eggs to make the poem template colorful for a Spring display. I plan to attach a Bunny Peek Over Pattern for a fun April bulletin board.